Florida is one of the leading beach vacation destinations in the world and with 1,197 miles of coastline and being surrounded on water on three sides it’s easy to see why. Nothing beats staying beachfront in a Florida hotel or resort. Each beach town and city throughout the sunshine state is unique in its own way. In Northwest Florida you’ll find Destin and Panama City featuring soft sugar white sand and the emerald green waters of the Gulf of Mexico. In Northeast Florida there is St Augustine and Daytona, offering the hard packed sand of the Atlantic Ocean and waves ideal for a little surfing. Clearwater and Naples are on the west coast of Florida and also features white sand but in a more tropical climate, making for a perfect beach vacation year round. South Florida is dubbed the Gold Coast, and Miami is its capital. Key West is the southernmost tip of the state and although the amount of sandy beaches are limited, the experience is not. 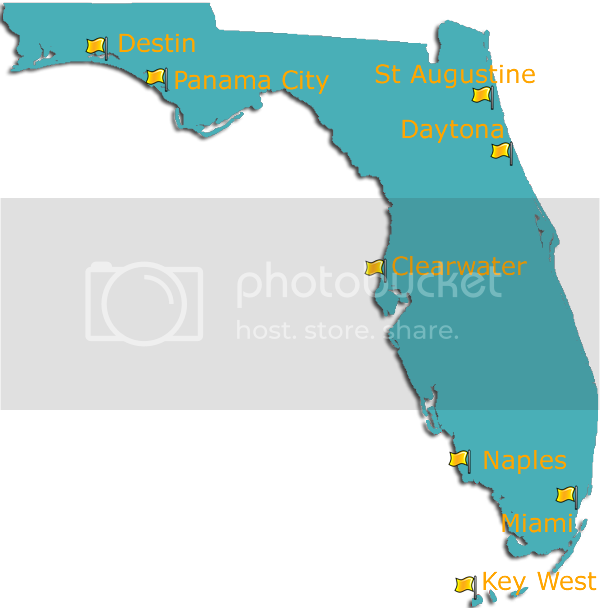 Discover these cities in Florida and the beachfront hotels and resorts offered. Content copyright . BEACHFRONTFLORIDAHOTELS.COM. All rights reserved.